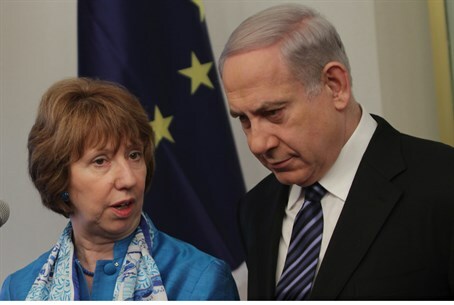 Prime Minister says Israel will prove tomorrow that Iran was behind rocket shipment to Gaza. Iran was behind the weapons ship to Gaza that Israeli commandos caught last week – and soon, Israel will prove it, Prime Minister Binyamin Netanyahu said at Sunday’s Cabinet meeting. “Yesterday the Iranian weapons ship reached Israel… Iran categorically denies involvement. It is brazenly lying,” he accused. “We’ll bring proof of that, tomorrow and down the road,” he pledged. The IDF is planning to hold a press conference Monday to allow journalists to see the weapons that were on the ship. The IDF has revealed that the ship was carrying M-302 rockets capable of hitting homes anywhere in Israel. “Nobody has the right to ignore the true and murderous actions of the regime in Tehran. I think that it would be proper for the international community to give its opinion regarding Iran's true policy, not its propaganda,” he challenged. Netanyahu has been pushing for the international community to maintain pressure on Iran in the form of economic sanctions. He has warned that lifting sanctions without ending Iran’s ability to produce a nuclear weapon would mean that Iran “gets everything and gives virtually nothing” – and could create a “rogue state” that combines international aggression and terrorism with a nuclear threat.